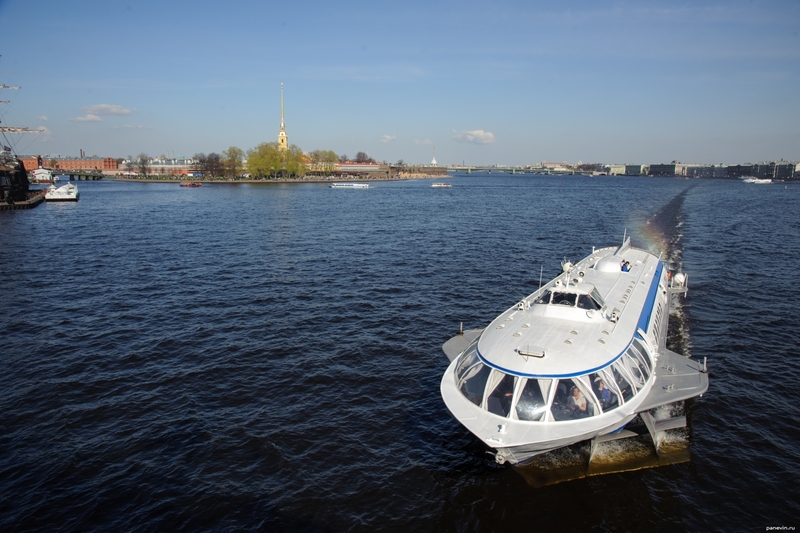 Standard Petersburg view — the meteor on Neva speeds up and rises on underwater wings. Blog, posts Neva, river, ships, St.-Petersburg. Meteor — the river craft on underwater wings. Interesting, all the same a show — when this vessel is dispersed and for the speed rises over water on the«wings»! For the account of such feature is capable to develop solid speed.